Pampa Brazilian Steakhouse is open Calgary! 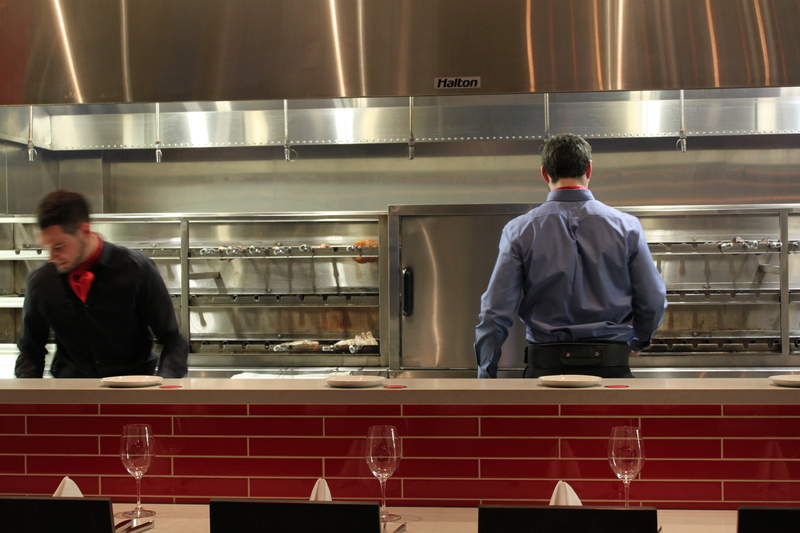 Run…don’t walk, and make sure you bring an empty stomach plus an iron will to your Brazilian Steakhouse experience. The first thing you will notice upon entering Pampa is the aroma. I’m not talking about the smell of succulent, dripping, premium cuts of Alberta beef (that will come later) but the pleasant lungful of wood smoke which emanates from the authentic Brazilian rotisserie oven in the back of the restaurant. Oh my. It’s like I’m Pavlov’s dog and I want whatever is on that bone! My salivary glands were on overdrive Wednesday night as I attended one of several media nights held this week. As soon as I had checked my jacket at the coat check, owner Oscar Lopez handed me a welcome cocktail. The Caipirinha is the national drink of Brazil and very popular there. It contains lots of lime muddled with super refined white sugar and a Brazilian style rum called Cachaça which is distilled from sugarcane juice. While it’s a very refreshing cocktail, take note…it is also a sipping cocktail. I learned this lesson the hard way back in July during the FIFA World Cup. 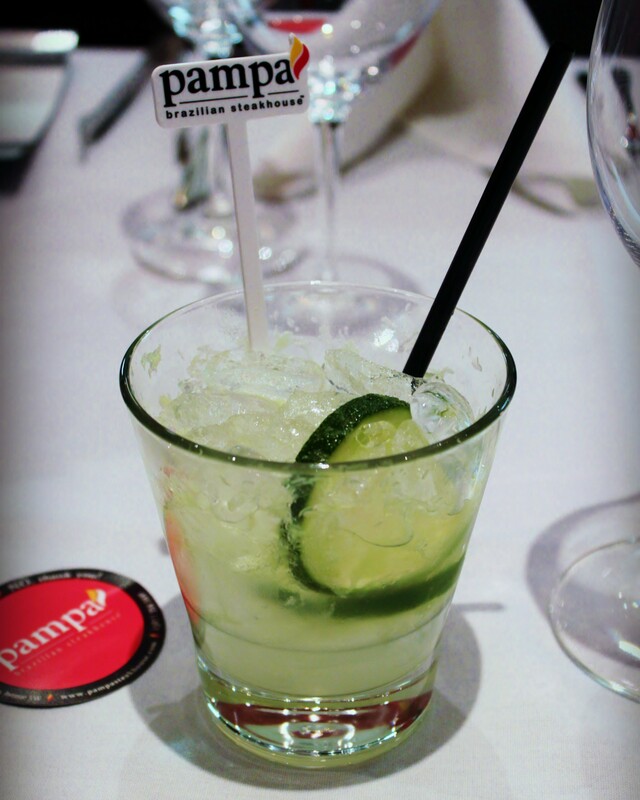 Pampa has some interesting spins on the traditional Caipirinha, including one featuring banana and cinnamon, and another spicy version with watermelon and chili. After our group was all seated, chef Joao gave us a brief history of how Brazilian barbecue was started by Gauchos. Gauchos are the Brazilian equivalent of North American cowboys who ride horses and protect cattle all day long. They carry all their supplies with them, including portions of meat underneath the back portion of their saddle. It doesn’t sound too tasty but apparently at the end of a long day, the meat is salty from the sweat of the horse and cooks up nicely over an open earth pit fire. Chef Joao assured us our meat was seasoned with salt only at Pampa. After the brief history, we were invited to wander over to the salad bar to begin our meal. I was looking forward to trying the 11 varieties of meat available on the dinner menu so I really tried not to fill up too much on the salads. It was tough though, the salads looked so fresh and inviting and I noted that several of them also contained meat. There are also some hot options such as Beef Stroganoff and mashed potatoes. In addition to the salads, I chose some ceviche and beef tartare. If you do come at lunch there is a salad bar only option, which I think would be more than satisfying without endangering afternoon productivity. All the dressings and sauces are house made, including chef Joao’s own chimichurri. 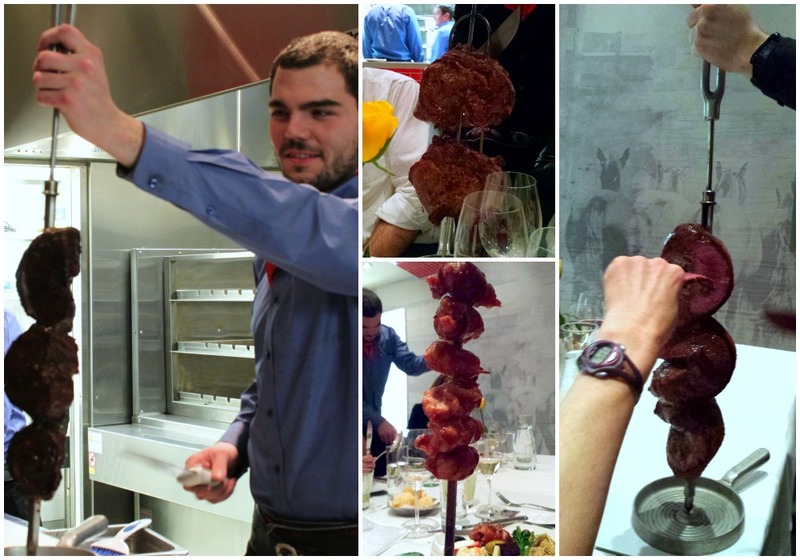 If you’ve never been to a Brazillian steakhouse before, it can be pretty intense at first. Oscar explained that if you want to enjoy the whole experience it is best to start slowly, using the little service tag (pictured above with the Caipirinha) as a cue for when you would like the server to bring more meat around. Flip the tag over to the green side and the servers will come to your table and serve you meat directly from the rotisserie. 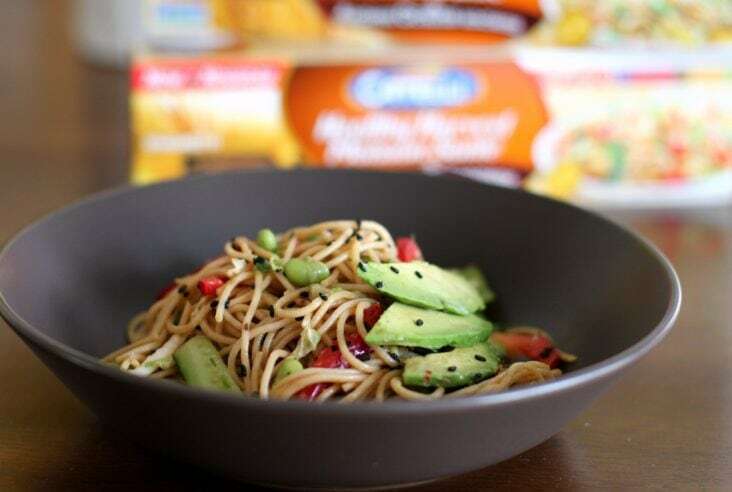 Flip the tag over to the red side for when you want to relax and digest a bit or if you are entirely sure you are finished your meal. Some of the meat is individually portioned on the large serving skewers and the server will directly deposit it on your plate. For the meat that is being sliced off the skewer, you must grab it with the small set of tongs provided with your place setting. I took my time eating the plate I chose from the salad bar and enjoyed the three first portions of meat that came around. The marinated chicken drum, bacon wrapped chicken thigh, and Parmesan pork were all served as individual portions and I set my tag to ‘red’ so that I could take my time and really enjoy them all, especially the pork. I missed a few cuts of meat in between, like the sausage (which never came back around), and some of the sirloin. When the house specialty Picanha (beef rump) came around I decided I couldn’t pass it up and I’m glad I didn’t. It virtually melted in my mouth. After that…other meats came one after the other until I found myself at the end, entirely satiated having tried 8 of the 11 meats available. Then there was dessert and a cachaça tasting. I loved the sweet sour combination of the passion fruit mousse with red wine and blueberry reduction but I was so full I didn’t even touch my chocolate mousse. If you’re looking for a place to bring the family to enjoy some protein then Pampa Brazilian Steakhouse is the place to go. The specialized charcoal rotisserie imparts a lovely flavour to the expertly marinated cuts of meat that you just can’t get from natural gas rotisseries. 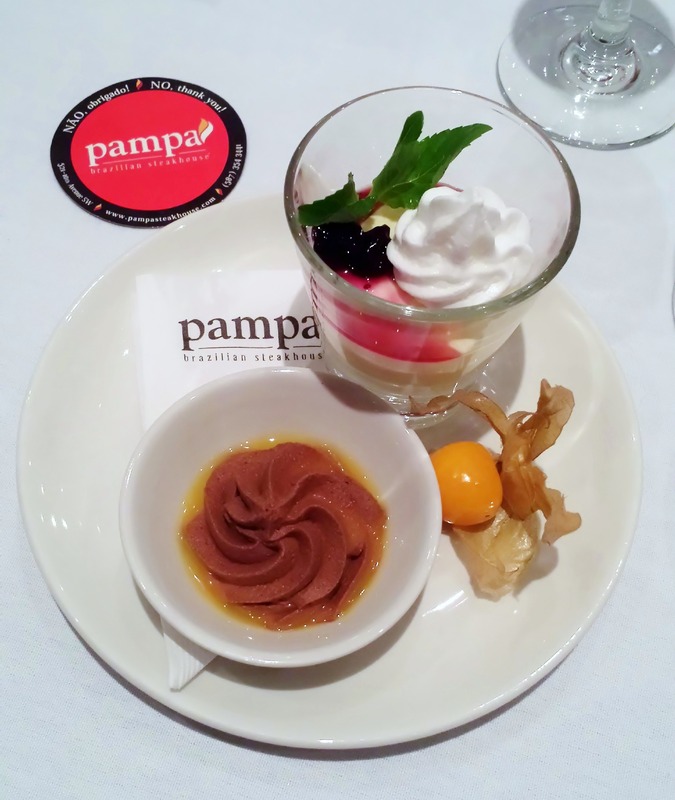 Thank you to Pampa Brazilian Steakhouse for a wonderful night out. See you soon!